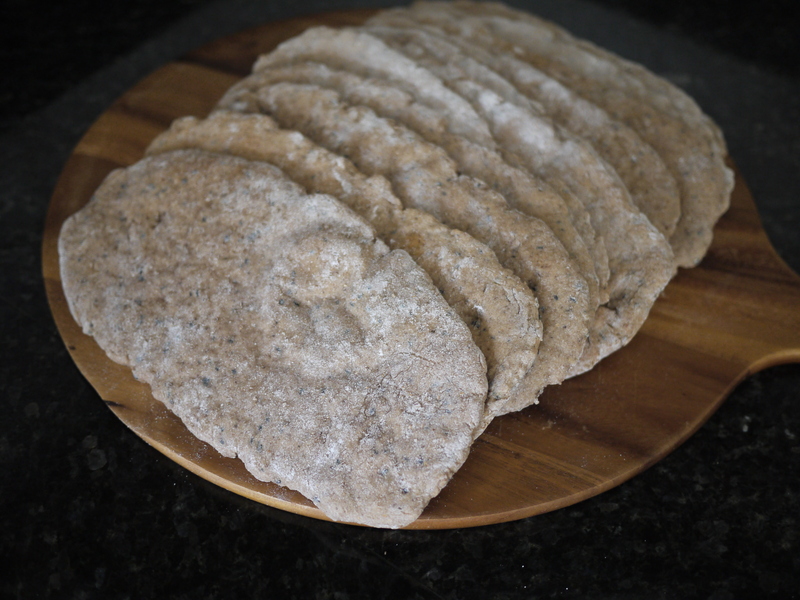 I had to order some psyllium powder which only arrived on Tuesday, so this weeks challenge has been a bit of a rush to get done before tonight’s Bake Off. Paul’s recipe can be found here. The 1st part of the recipe involved adding the psyllium powder to the water and letting it thicken up, it smelt pretty horrible and didn’t look much better, not a great start! 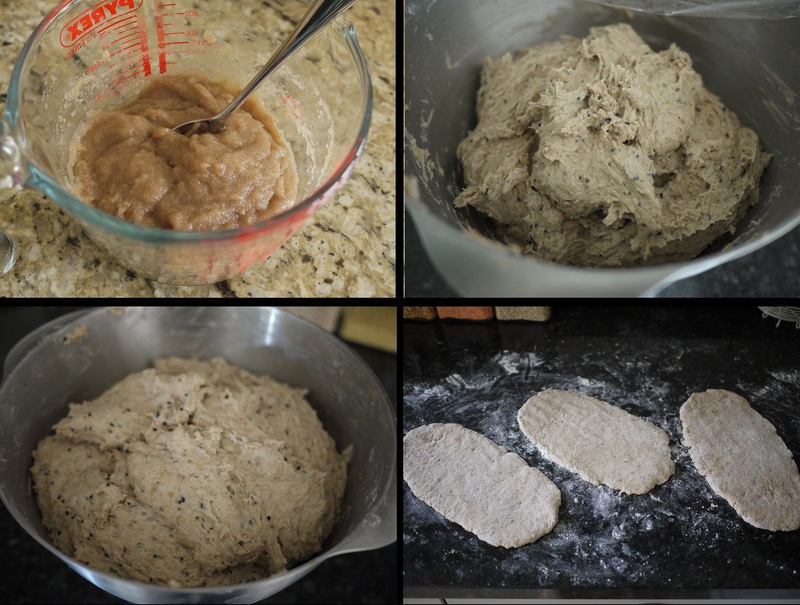 The dough was super stick and also didn’t smell very nice. I gave it a quick kneed and popped it back in the bowl and left it to rise. It didn’t rise in the hour and a half, probably because it was quite a cool day, so I left it for an extra half an hour till it had doubled in size. 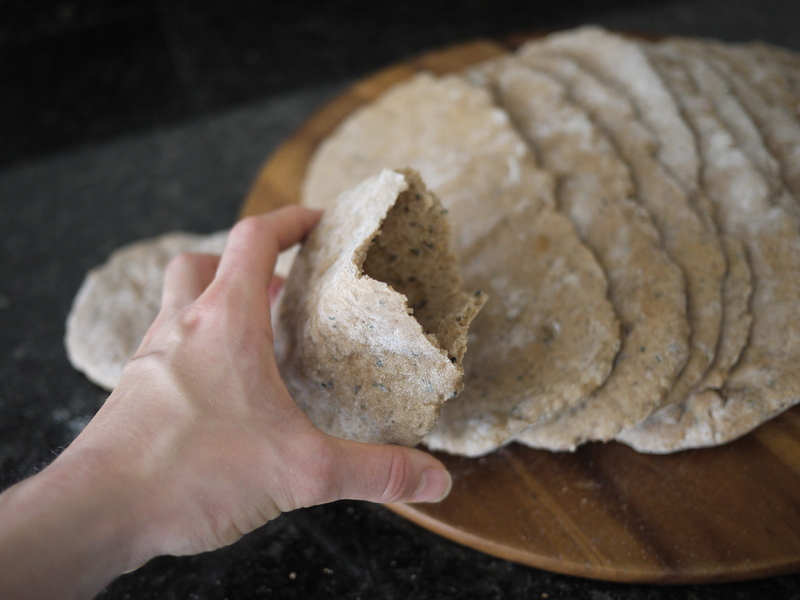 I shaped the dough into 12 ovals as best I could – it was still pretty stick and soft. I was surprised that while it was baking it actually smelt pretty good! 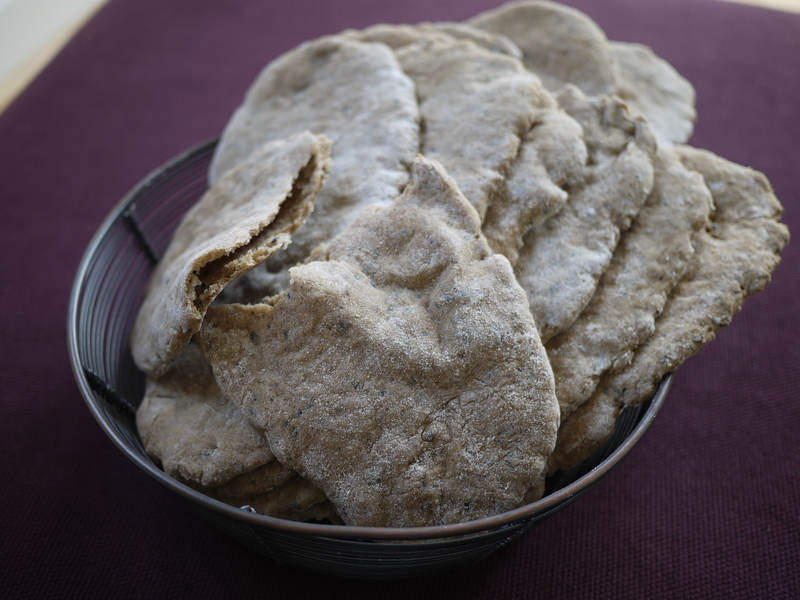 The final result was 12 slightly wobbly shaped pitta breads, complete with pockets and because of the Nigella seeds, they actually had quite a nice flavour too. I’m not sure I’ll be making them again though! This looks like it turned well!